Making Money, Making Music offers tools to encourage creative and adaptive entrepreneurship in the music business. Written for the classroom and the workplace, it introduces readers to core principles and processes and shows how to apply them adaptively to new contexts, facilitating a deeper understanding of how and why things work in the music business. 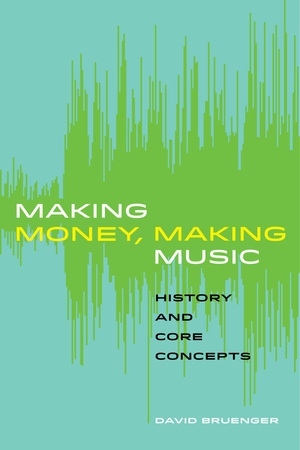 By applying essential concepts to a variety of real-life situations, readers improve their capacity to critically analyze and solve problems and to predict where music and money will converge in a rapidly evolving culture and marketplace. David Bruenger is the founding director of the Music, Media, and Enterprise Program at Ohio State University.